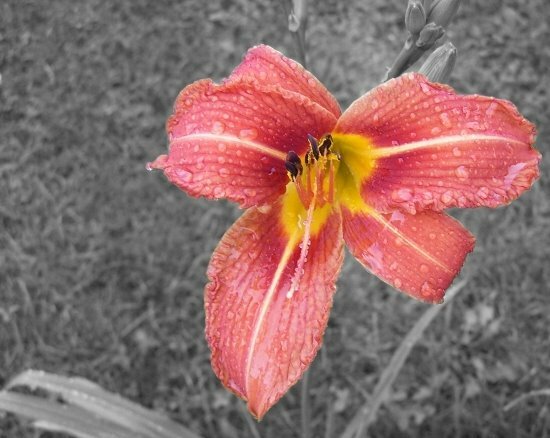 I have had a life-long obsession with the tigerlily. They are my favorite flower. When I was planning our wedding, the only thing I demanded were tigerlilies in my bouquet. When we bought our house these first thing I planted were some tigerlilies by my mailbox (and this year, 5 years later, they are starting to take over- yay!). 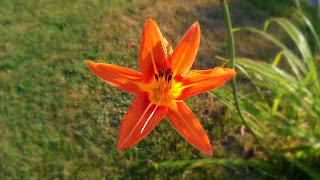 I love tigerlilies. When I was born my parents did not have much money. My father couldn't afford a "push present" or flowers for my mom. Instead of buying anything, my father took some tigerlilies that were growing along the side of the road in to me and my mom. Isn't that sweet? It is a short and simple story, but that is why the tigerlily is my favorite flower. The first man I loved brought me flowers the day I was born (or the day after- I don't actually remember). And because it is my birthday, here is The Monkees singing Happy Birthday to Mike from their movie HEAD. If you want a good laugh, watch Head. It is ridiculous. It might make more sense if you take some illegal drugs first. Just for the record, my husband didn't bring me anything when I had babies....just himself! Guess he's not one of those "sensitive" type men!